Camp Quality Convoy Victoria will be held on April 7 at Avalon Airport. After taking a year off, the Camp Quality Convoy Victoria will hit the road again on Sunday, April 7. Dozens of trucks and motorbikes expected to join the fun at Avalon Airport. Aftermarket truck and trailer parts specialist Truckline has announced it will continue its generous support of the event and is also entering a special guest in the convoy – the new International ProStar. The ProStar demonstration truck will take a break from its tour around Victoria to feature in the day’s activities and is expected to draw a lot of interest from truck enthusiasts. 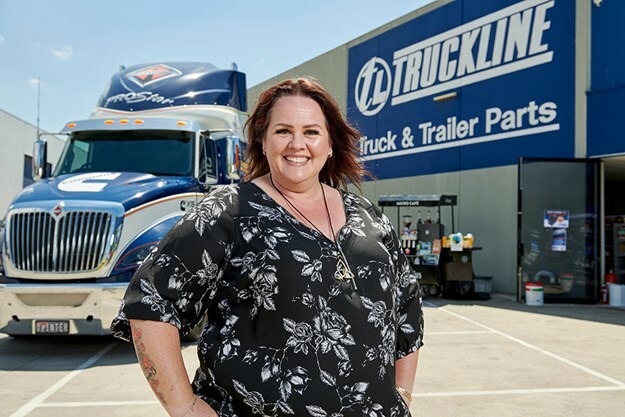 For Truckline’s territory business manager (Victoria/Tasmania) Casey Stewart, this event holds special meaning for her and her family, after sadly losing her niece to childhood cancer at just five years of age. "I’m proud that Truckline is continuing their support of and involvement in this event and to see it back again after a hugely successful 2017 Convoy. It was a terrible tragedy for my family when we lost my niece, so I’m keen to do anything I can to support other families living with cancer," Casey says. Truckline's Casey Stewart with the International ProStar demonstration truck which will join the Convoy. "With the ongoing support from Truckline and principal partner Viva Energy, we wouldn’t be able to hold an event like the convoy and raise the money we do. "Having corporate sponsors means all the funds raised by the truck drivers, the motorbike riders and the community at large supports Victorian kids to help children 0-13 deal with their own diagnosis, or the diagnosis of someone they love, like a brother, sister, mum or dad. "We are there for them through the daily ups and downs of cancer. We create opportunities for the kids to be kids again: in-hospital, at home, at school and away from it all," Kendra says. "In the words of a family member: Camp Quality provides us with the opportunity to escape the daily treadmill of everyday life. To have smiles and laugher in the midst of a dark time is priceless," Kendra adds. This year’s Camp Quality Convoy Victoria will proceed slightly differently from earlier years, including the introduction of a ‘Show and Shine’ following previous feedback. Registration fees for trucks and motorbikes in the convoy are also substantially reduced this year, making the convoy accessible for participants, with all convoy entrants encouraged to use the event to drive fundraising from their own networks. 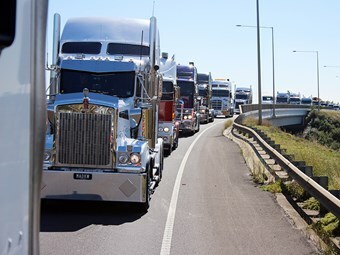 The Camp Quality Convoy Victoria will start from Avalon Airport at 8am on April 7, arriving back at the airport around midday where the Show and Shine and a range of family-friendly events will take place, including face painting for the kids, courtesy of sponsor Truckline. General entry is a gold coin donation, which includes the family activities on-site, and a raffle will be conducted to support the fundraising initiative. The day will conclude at 3pm. An auction for the lead truck and bike positions will take place on March 28, from 6pm to 9pm at White Rabbit Barrel Hall, Little Creatures Brewery, Geelong. This will also provide an opportunity for drivers to get together socially and find out more about the great work done by Camp Quality.